Nigerian governors said yesterday that they are not against an upward review of the minimum wage, but are still struggling to pay the current N18,000. 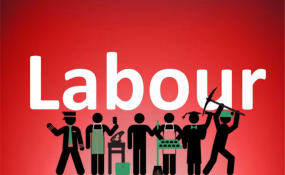 Daily Trust reports that while the organised labour had proposed N30,000 as the new minimum wage, the federal and state governments are proposing N24,000 and N20, 000 respectively. But briefing journalists on the outcome of the Nigerian Governors' Forum (NGF) meeting on Wednesday, the chairman and Governor of Zamfara State Abdulaziz Yari said the issue was not just on agreed figure to be paid by the governors, but the "ability or resources to take care of that agreed minimum wage." Yari said "As we are talking today we are struggling with N18,000. Some of the states are paying 35 per cent, some 50 per cent and still some states have salary arrears. "So, it is not about only reviewing it but how we are going to get the resources to cater for it." But speaking with journalists shortly after an interaction with the NGF, NLC President Ayuba Wabba said had spoken to the governors not to see salary as a bonus, but legitimate earnings due to workers who provide critical services to the economy and other sectors. Wabba said the current minimum wage of N18, 000 was supposed to have been reviewed as far back as 2016, adding that the review was in line with labour agreement with governments during the negotiations in 2010 - 2011. Meanwhile, the Director General of the Nigeria Employees Consultative Association (NECA), Olawale Timothy, has said that the body is ready to pay the new minimum wage to workers in the private sector. Timothy said: "Position of NECA which is that of the organized private sector is very clear. We are willing to implement the outcome of the new national minimum wage. "The formal private sector has being paying way higher than the minimum wage and whatever will be agreed will only affect the very few of our members." Also, the Director General, Lagos Chamber of Commerce and Industry (LCCI), Muda Yusuf has said that there is no state government in Nigeria today that cannot afford payment of N25,000 minimum wage, saying that the crying by some states that they afford the new wage can be traced to their unsustainable workforce that they are carrying. Speaking with Daily Trust in Lagos, Yusuf said the trouble with the public service across all levels of government is the unsustainable workforce that they are carrying.